Nevertheless, I have always believed that one facet of greatness in wine is its ability to evolve and age in bottle over an extended period of time. Certainly, that potential lifespan must vary with the grapes used, as some varieties, blends and styles of wine just do not have the chemical wherewithal to endure a decade or four, even in perfect cellar conditions. Some three or four years ago at HdR, I heard several viognier winemakers discuss the ageing potential of the variety. An interesting idea was put forth – and I can’t recall by whom – that the evolution of viognier does not take a linear downward trajectory, senescing, declining and falling apart just a few years after crush. Rather, this assertion says that viognier goes through a low point, a nadir after which it somehow re-emerges, phoenix-like, as something again alluring and enjoyable. As I embarked on my tasting of viogniers past, I wanted to look for some point of magical transformation. Of course, this was not going to be easy. As I reached out to producers around the country, I was a bit daunted. The contact person at Alban Vineyards was diplomatic, but the winemaker at one Virginia winery scoffed at the idea, saying: “No offense, but I don’t see the attraction of drinking an old viognier, when the most attractive feature of the wine is the rich peach/apricot and often tropical fruitiness of the variety.” This sentiment was echoed by some of my more senior wine writer colleagues. More than proving or disproving either of those ideas, I wanted to get a sense of what really happens to the wine and at what point in its aging process. Viognier is a Rhône variety which, after teetering on the verge of extinction, has seen a resurgence, most notably in France, California and Australia. It is a heavier, hotter white variety recognized for its richness. It expresses perfumed floral aromas with tropical fruit flavors and a rich, sometimes almost viscous mouthfeel and a mineral character. Aromas and flavors commonly observed in viognier include: Acacia, Apricot, Gardenia, Grapefruit, Guava, Honey, Kiwi, Mango, Melon, Mint, Orange Blossoms, Pear, Pineapple and Tangerine. Warmer regions tend to produce a headier and heavier, lower-acid style. 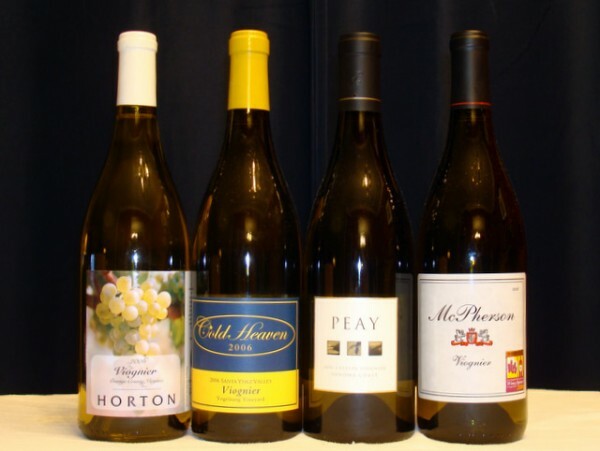 Cooler growing regions tend to make a more balanced, brighter style with higher acidity. 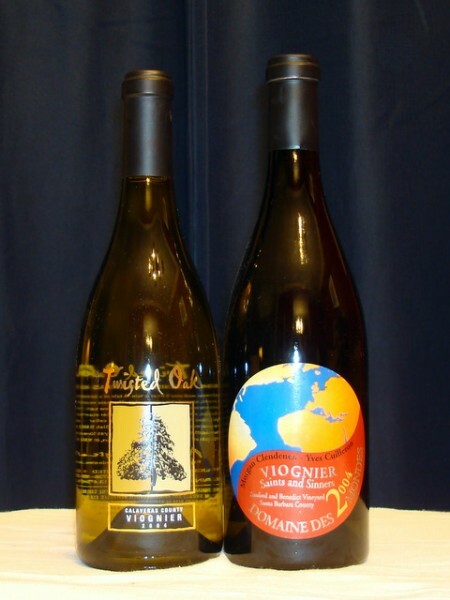 Viognier is also likely to be influenced by fermentation methods, much like Chardonnay, and when fermented in new oak barrels, takes on prominent oak characteristics. When most white wines age, they lose their aromatics. The florals wilt and the fruit fades. Sometimes, this gives way to some oak characteristics or maybe lees-derived traits. The latter is less common, but not unheard of in viognier. This is because aromatic varieties are usually racked off the lees quickly to preserve their aromatics and most viognier is rich enough by itself to forgo the textural support from lees contact. With time, white wines take on more oxidized characteristics: brown or bruised apple, cider, a nuttiness that can resemble stale walnuts in extreme cases. All this is variable and subject to not only the makeup of the wine at crush, but also closure type and storage conditions. My approach then would look for the balance between the fresh and over-the-hill characteristics in older viognier. I wanted to look for commonalities in the different vintages tasted, while assessing degree of freshness versus degree of ageing. Initially, I considered looking for variation from region to region. However, this introduced a level of complexity that would require far more wines and far more analysis. Instead, I would ask that the reader accepts my assumption that all the regions represented in this tasting are similar in enough ways (after all, they are able to sustain and ripen the variety) that we should look at the vintages only. 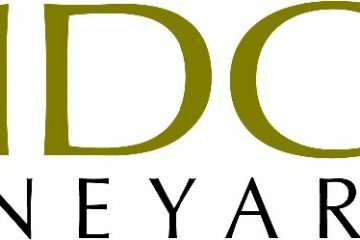 As I sought to gather wines for this evaluation, I tracked down a bottle of 2005 Alban Vineyards Viognier (Edna Valley) at an online retailer specializing in rare wines. Morgan Clendenen provided the 2006 Peay (Sonoma Coast) and the 2003 Cuilleron from her cellar. 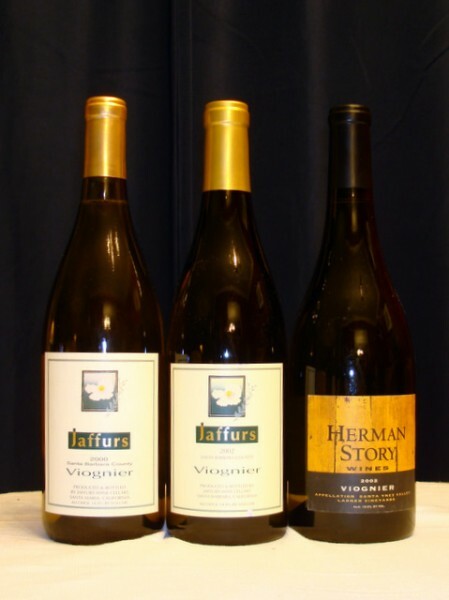 Michael Larner shared his last library bottle of Herman Story 2002 (sourced from his vineyard in the Santa Ynez Valley) and just for the sake of academics, I included a 2005 Smoking Loon (California) found haunting the shelves of a local supermarket. All other wines were provided by their producers. The full list of the 22 wines tasted is found at the end of this article. 2010: The only wine tasted from this vintage expressed the typical traits of viognier: honey, tropical and acacia flower aromas, medium richness, lower medium body and a faintly mineral, warm, tangy finish. 2007: The only wine from this vintage showed how viognier matures: with dried fruit including dried apricot and dried tropical fruit and some dried apple. It had a medium body, medium richness with strong flavors and noticeable minerality. 2006: Three of the four wines from this vintage displayed “nutty”, “dried apple”, “almost oxidized” and “bruised apple” characteristics. I had expected that the wines finished with a synthetic closure would have more aged traits. Compared to the one clean wine finished with a natural cork, this seemed to be the case. 2005: Four of the five wines from this vintage were consistently darker-colored across producers. The common sensory descriptors seemed to be “honey”, “subtle” and “faint”. The one minor exception here was the only wine in the whole tasting which was closed with a screw cap, an Andrew Murray, Santa Ynez Valley viognier This wine had some light reductive traits, but also possessing the most youthful characteristics. The number of wines in this flight spurred me to look for — and ultimately not find– any association between alcohol levels (suggestive of fruit ripeness at harvest) and longevity. The screwcapped wine which tasted the freshest was 14.5% alcohol – not far off from the two most aged-tasting wines. 2004: The two wines in this vintage were typified by “nutty”, “dried apple”, “bruised apple” characteristics, although the slightly hotter (14%) wine had more distinct fruit. 2003: The two wines from this different were incredibly different. 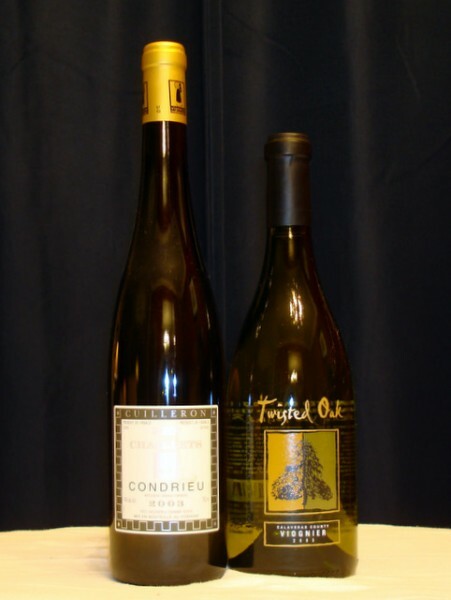 The only French viognier I could obtain, a Condrieu, was a very different animal than anything else in the whole tasting because of its minty aromas and flavors mixed with florals, very faint spice and honey. More than any other wine in the tasting, it was lightly unctuous and strikingly silky and creamy in the mouth. The California example was holding up quite well with maturing characteristics and little indication of being over the hill. 2002: At almost ten years old, these two wines were typified by “honey” and a general “ripe” character, but I was hard pressed to find any signs of oxidation or senescence. 2000: Unfortunately, the only wine from this vintage was corked. 1996: The only wine from this vintage came in a 500 ml bottle finished with a natural cork. I make mention of that because, smaller format bottles tend to have reduced longevity relative to the standard 750ml bottle (which, in turn, tends to not last as long as larger format bottles). This wine was indeed showing signs of decline with interplay of cider and honey characteristics. 1994: The two wines in this flight were, again, dramatically different. Their characters had little in common. The Calera, from Mt. Harlan’s cooler climate (but with a higher alcohol level) certainly demonstrated that viognier can age. 1990: The last wine in this tasting was a 20 year-old Santa Ynez viognier which, owing to its nutty and cider-like characteristics was too mature, showing very little of the characteristics that define this variety in its youth. This tasting was not a competition. No winners were sought. The idea was to collect as many wines dating as far back as possible and to describe them. This was the ground work that would allow me to address the “age-worthiness” and “nadir” assertions about viognier. With a few exceptions, the viogniers tasted for this article seemed to decline within a few years of production. It is probably reasonable to say that most well-made viogniers can be expected to last no more than five to six years with good cellaring. Beyond that, most viogniers should not be expected to resemble the young versions of the wine. Rather, they will be faded and show signs of oxidation. But what about the “nadir”, the dip in enjoyability after which wines resurrect themselves? If it exists, there was no clear indication of it from this tasting. It may be tempting to say that this dip comes around seven or eight years of age and then wines reveal themselves as once-again alluring creations. But this is based on a very limited tasting. One would need to conduct vertical tastings of a number of producers’ viogniers to be able to confidently make that assertion. The only producer in this tasting whose wines could be assessed as a vertical provided six, seven and eight year-old wines – all from the same site. 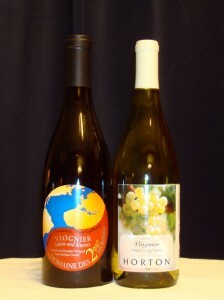 At six years of age, their viognier showed maturing characteristics. This was pretty much par for the course, as noted earlier. 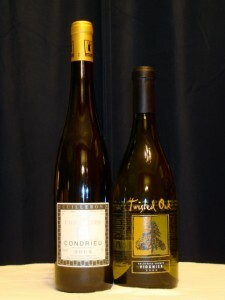 Their seven-year old wines showed the most age-related traits and their eight-year old Viognier showed more freshness. If this vertical demonstrates, a “nadir”, it likely is short lived – as indicated by the general trend in even older wines included in the tasting. However, this could also be attributed to vintage variation. 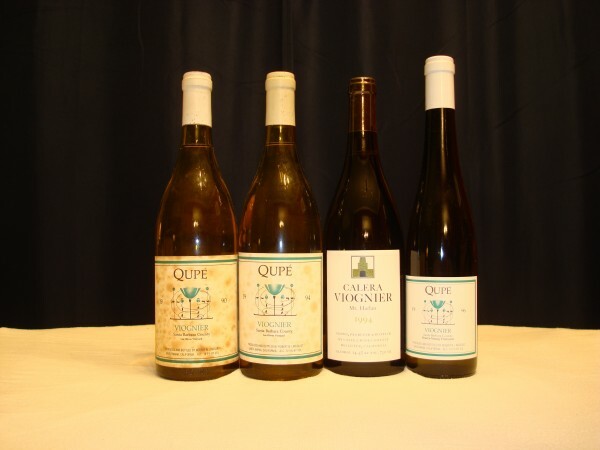 However, wines like the 2003 Cuilleron and 1994 Calera leave a nagging question: if the expectation is that viognier cannot age and evolve beautifully over a decade or more, does that become a self- fulfilling prophecy? I think those two wines demonstrate that, in certain special circumstances (site, vintage, producer), the variety *can* make a long-lived wine. Luck aside, a viognier that lasts a decade in the cellar requires making a fundamentally different wine than one that has a short lifespan. After all, what you start with will dictate the trajectory and evolution of the wine. This not only means the wine may last longer but also that it will be different in its youth than those made for immediate appeal. However, the longevity of any wine definitely comes down a more complex permutation of factors than just “ripeness” (and thus alcohol levels) – as the 2005 flight would indicate. If a short lifespan of viognier is a foregone conclusion, is the fate of many viogniers sealed with an artificial closure? 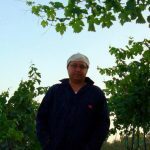 The Alban Vineyards representative told me: “…one of our primary goals is to produce and share wines that make people happy“, adding that most viognier is at its most exciting in its youth. If it will not be cellared, why take a risk by closing it with natural cork? I must admit I am tempted to suspect that extruded corks, with their higher rates of oxygen ingress probably expedite many a viognier’s demise. I have only a few facts to support this: past experiences with older viogniers closed with extruded corks and the character of those wines in this tasting which were finished with extruded. 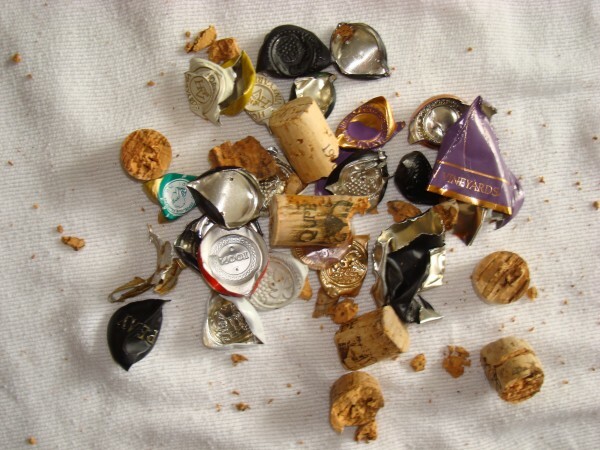 This, juxtaposed with the character of the single screwcapped wine in this tasting (and what we know about the performance of that closure), suggests to me that regardless of whether a particular viognier is made for immediate consumption or for the longer haul, finishing with extruded corks does not help its longevity. Collectors and consumers buying case-quantities for long-term enjoyment (and possibly the pleasure of watching a wine evolve) should be aware that the fading of floral and fruit aromatics and the emergence of brown apple and then nuttiness are indicators of the wine being at the end of its life. Closures also seem to play a notable role, with screwcaps and natural cork boding better for longevity than other synthetic closures. There likely is no transitional phase through which Viognier passes and after which it, again, is appealing and sound. However, it would also take numerous other verticals of wines from various regions to conclusively confirm this. In the final analysis (and one more rooted in reality), it is likely that those 9, 10 and 11 year old Viogniers which showed well in this tasting probably tasted even better at 6, 4 and 1 year of age. They were built to last – in the vineyard, during harvest, elevage and packaging. Father, husband, physician, guitarist, wine lover, wine writer, wine grower and wine maker trying to do it all within eye shot of downtown Los Angeles. Read about his adventures on Shut Up and Make Wine and follow him on Twitter. We have found that our Viognier ages nicely for 10 years or so. That is better aging potential than some Chardonays. It comes down to what taste you are looking for and how much experience one has drinking older white wines. Older white wines are not for the uninitiated. Our Viognier is hand harvested with good acidity and not blowzy or overripe. It has minerality and we are careful with oxygen uptake during elevage.